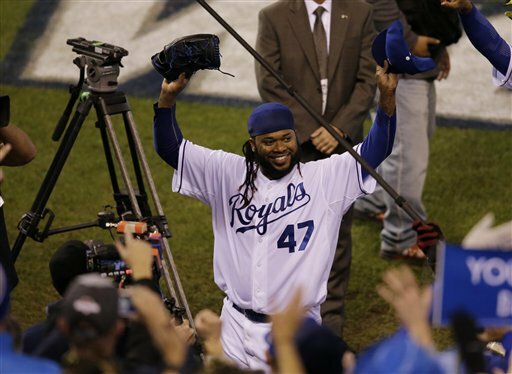 The first instalment to this year's World Series was a lengthy, drawn-out one. But the night after, the Kansas City Royals made things look much easier as they took a 2-0 lead in the series in front of their rocking home crowd. It was a pitching matchup of the hairs, Johnny Cueto for the Royals and deGrom for the Mets. Through 3 innings deGrom was perfect, only allowed one walk and had two strikeouts. No team could get their bats to get going and it hurt the Royals more because deGrom was pitching marvelously. The fourth inning is where all the drama occurred, Murphy and Granderson were on first and second with one and Cespedes was up to bat. Moustkas got a ground ball, tagged third and tried to get the double play but Hosmer's toe couldn't get on the bag and Cespedes was safe at first. Duda hit a ball into left field right after that to take a 1-0 lead with two outs. d'Arnouad flew out that ended the top half of the fourth. deGrom got into a jam with the bases loaded at a point but he got out of it. In the fifth, he walked Gordon and Rios hit a single. Escobar hit a base hit that drove Gordon home to tie the game at 1. After Duda saved a potential 2 RBI base hit, Hosmer hit a 2 out 2 RBI single that put the Royals up 3-1! Moustkas got into the fun when he brought in Hosmer from a base hit to make it 4-1! The inning ended after a ground out. It was one long inning for deGrom. Robles took over for deGrom in the sixth, he had a one two three inning. It was in the eighth inning that expanded this Royals lead. Gordon doubled to right that brought in Moustakas. Orlando brought in Perez after a sac fly and Escobar tripled to bring in Gordon. 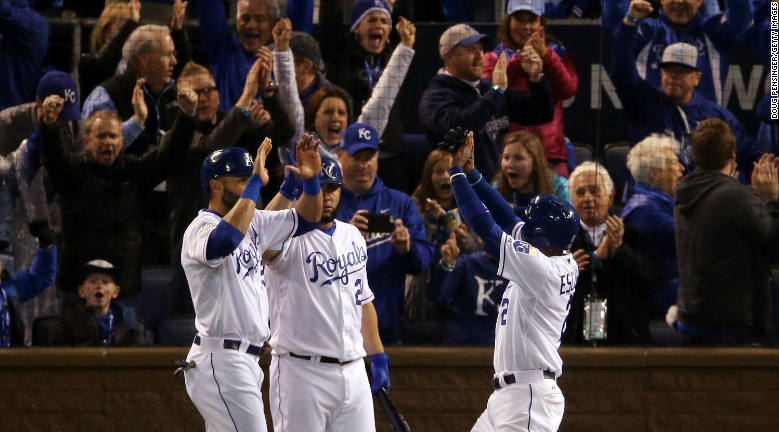 It was 7-1 after the 8th and the Royals found themselves leading the series 2-0. Cueto pitched a marvelous game after giving up a run in the fourth. 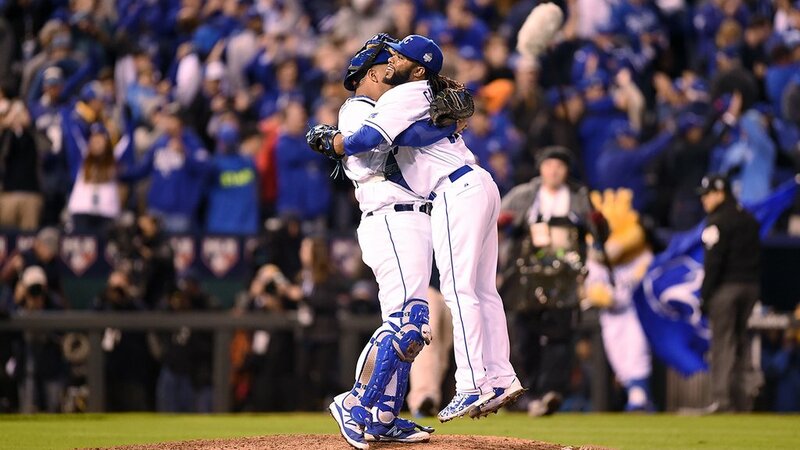 I loved the call by Ned Yost when he let Cueto finish the game because he deserved to. He kept that momentum high for his team and made sure they wouldn't have to play down, the bats were alive for Kanas City and it just wasn't deGroms night. The Mets gotta win these next three games at home if they want to win the World Series. Stats: deGrom: 5.0 IP, 6 H, 4 ER, 2 SO, 7.20 ERA, L (0-1). Cueto: 9 IP, 2 H, 1 ER, 4 SO, 1.00 ERA, W (1-0).